You are here: Home / Reviews / Home / At Home Shopping Spree! I had never shopped here before so I wasn’t sure how the layout would be, but right when I walked in all of the garden and patio decor was front and center. I couldn’t miss it. 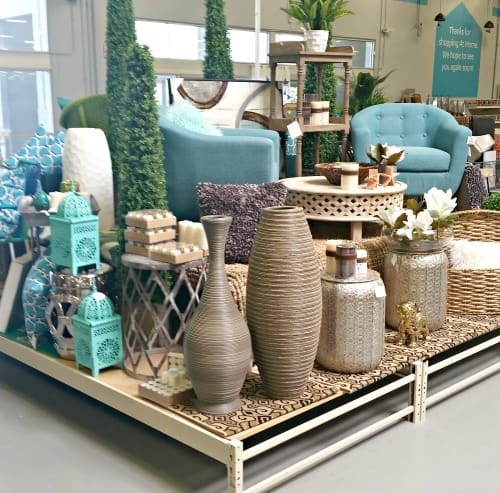 I love how they have different displays set up around the store with different furniture and decor so that you can get some more inspiration as you shop. Being my frugal self, I was very pleased with the everyday prices at the store. Everything was very reasonably priced and very affordable. There was something for every type of budget. Not to mention every type of style. No matter what kind of theme or style you are going with, they have something for you. 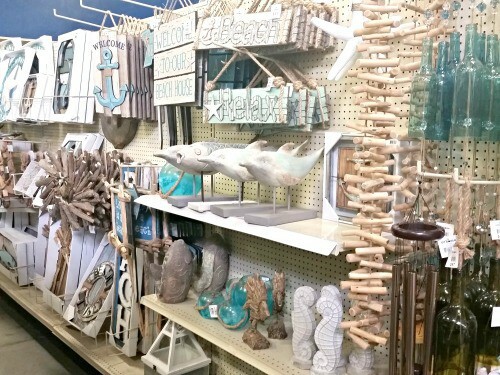 I saw ocean decor, garden decor, Americana, retro, etc. I don’t think I was prepared for how much there was to choose from. I spent a lot of time in At Home just trying to narrow down what I wanted. 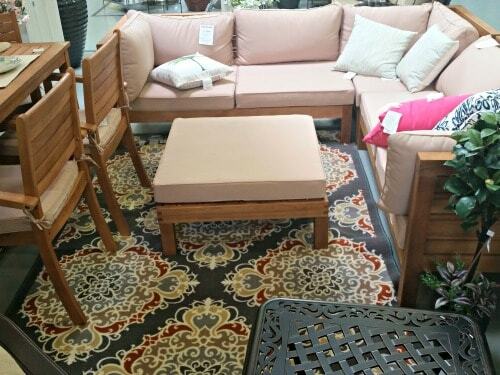 They literally have about 5-6 aisles full of just outdoor cushions and pillows. I kept walking up and down them trying to narrow down what I wanted. I loved all the designs and colors! I also loved the furniture selection! 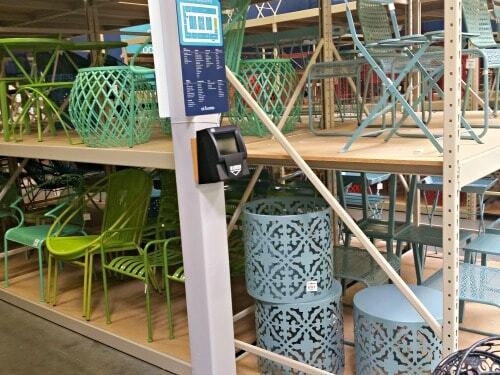 They had wicker chairs and tables for under $100! You could buy a set or just get things separately. I loved that! I also fell in love with the more retro selection of furniture. They had all kinds of tables and chairs that had a more 60’s feel to them. 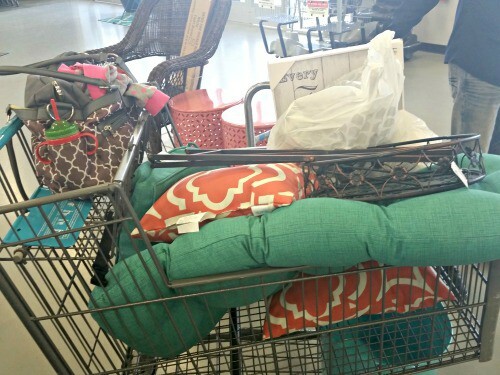 I loved the colors and might have gotten a couple of things from this section…hint, hint. I also like the rest of the store’s selection for home goods. They had so many things for the kitchen, a big selection of candles, and so many mirrors and decor for your home. This place is huge! I won’t tell you everything I got for my sun room makeover, I will leave that for a later post. I can say that we scored a lot for the money! I got a whole shopping cart and rolling cart full of stuff! 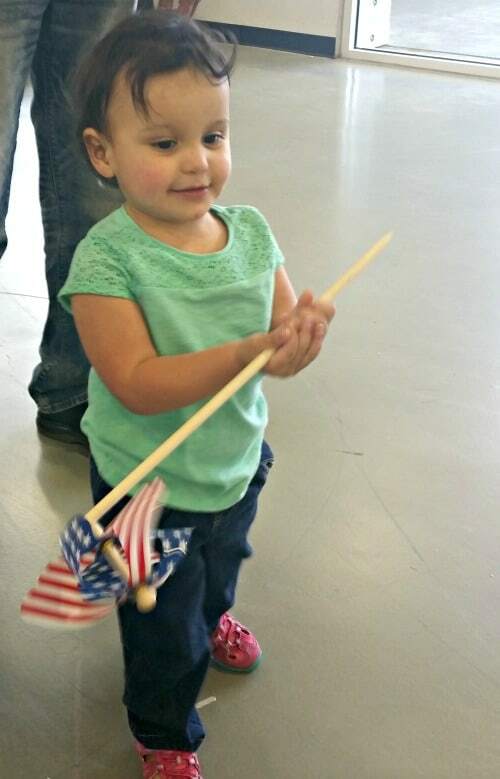 I took my toddler with my so she saw a pinwheel that she just had to have so she was happy with her find 🙂 . This didn’t have anything to do with my purchases but I noticed that At Home has these neat shopping carts that you can fit two kids in at once instead of just a single child! This was just something I noticed as a mom and I think it will make your shopping trips a lot easier if you have more than one child. 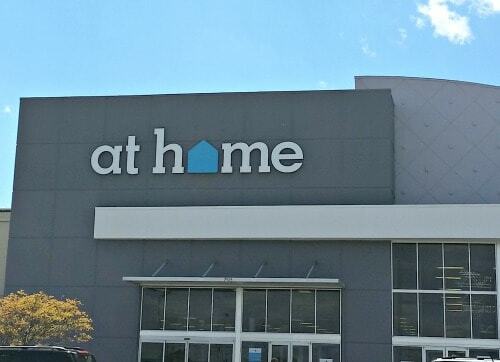 If you are needing any kind of home goods or decor items, I highly recommend heading to At Home. You can’t beat the prices and the selection. I was very happy with my shopping experience and I know you will be too!